If you’re not a techie, don’t let the title to scare you. Although I didn’t attend the conference, I was intrigued by its title and tempted to unravel the mysteriousness it held for me. 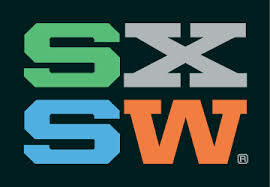 SXSWi is simply “South by Southwest Interactive,” an amazing convergence of tech professionals, venture capitalists, startups, entrepreneurs, gamers—and for the past few years, library, archives, and museum (LAM) professionals. This year, the five-day conference went down in Austin, March 7-11, bringing opportunities for public librarians to not only learn about tech trends but also to represent ourselves as players in the synergistic momentum of the conference. Your library’s own creativity is the limit when using technology innovations to create community. For instance, Sallymags blogs in “Impact by Collaboration: A SXSWi Phenomenon” about how the sxswLAM team initiated a campaign at the conference entitled, “Do you library?” Participation spread from outside the conference to local libraries across the country through tweets. Sallymags writes that “Attendees were asked to tweet to their local libraries to say hello, good job, see ya soon, or even sorry about those overdue fines. In return, they got a sweet coozie that proudly displayed, Not the same old SHHH.” This was a great way to connect SXSWi attendees from all over the country with their local libraries, and in turn, the libraries learned about sxswLAM. What is the relevance of SXSWi for public libraries? To start with, sessions drove home the message that public libraries are already pairing space and technology in a free access environment. Secondly, many SXSWi programs recognize that public librarians support creativity and innovation in the field of technology. Awareness that librarians provide support for business startups and access to work space was shared with attendees both inside and out of this year’s conference. In addition to what public libraries can provide, conference participation allows librarians to gather ideas from other industries, particularly in the area of interactive technologies, which can exponentially grow new library users. If we are to be part of building the public library’s digital future, then let’s count ourselves in! SXSWi demonstrated how participation transforms passive learners into information builders and contributors to a bigger library conversation. As for me, I’m marking March 13-17, 2015 on my calendar.